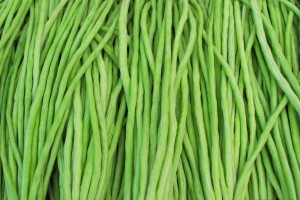 Phaseolus coccineus - A pole bean that produces long flat and absolutely flavorful green beans. They can be cut and prepared by itself with masala (a melange of Indian spices), or Bihari style with potatoes. Extremely popular in the UK, this is an easy to grow vine which produces an abundance of scarlet flowers which are known to attract hummingbirds. 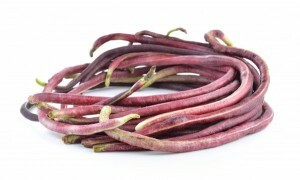 (Cyamopsis tetragonolobus) This crunchy bean is low in calories and popular throughout India. The plant is extremely hardy and grows easily even in drought-like conditions. We cannot ship this product to Australia. Approximately 75-85 seeds/pkt. 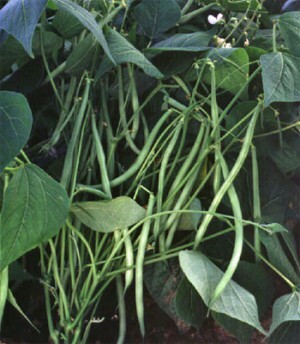 Dolichos Lablab - This popular bean produces light green pods 4.5-5" long, wrinkled with bulge in the center, fleshy & tender, and eaten freshly sauteed with spices and onions. This variety is day-neutral. Lakshmi is a high yielding bush variety. A Long Valor variety that grows on a vine. The seeds are white (buff). This variety is day-neutral. 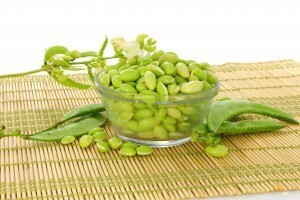 This edible podded bean is especially popular in the State of Gujarat. The bean small (1-1.5 in) and half moon shaped. It is cooked with onions, garlic, ginger, chillies and spices and makes a great accompaniment with Indian breads like poori. It is also an essential for the vegetable medley dish called undhiyu. Seeds are pale brown in color. Chandni is a vining variety and is day-neutral. A bush variety of Surti Papdi. Ideal for those with smaller spaces. Attractive white flowers. Delicious pods that can be used for dishes like Undhiyu. Beans can also be shelled and used to make Surti Papdi Lilva shaak, where the green bean seeds are shelled and cooked with spices, onions, garlic and ginger. Raphanus caudatus. 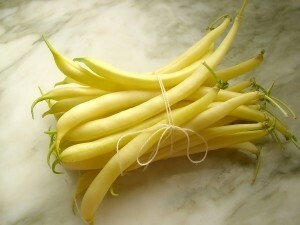 In appearance it looks a french bean but is pungent in taste like a radish. It is indeed a radish, but is not grown for its root but the tasty pods that form from attractive flowers. It grows well in cooler temperatures as well as the heat of summer. Popular in Rajasthan as well as in Gujarat where it is known as Moongres or Lila mougri. In Marathi it is known as dingiri. Best when they are harvested while still small, you can make a chutney by pounding these with some green chillies, and mixing in salt and yogurt. 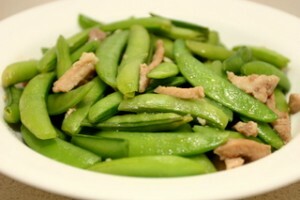 Radish pods are also great in salads and stir fries. Also known as rat tailed radish. 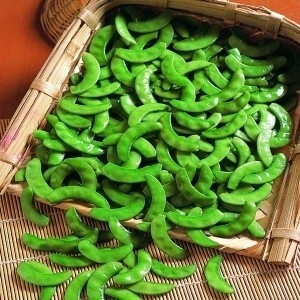 The winged bean is one of the newest Asian vegetables coming to market these days, and we are pleased to carry the seeds. Known for centuries in tropical Asia, this attractive climbing perennial is more or less your total meal: all parts of the plant are edible: the pods, the beans inside, the shoots, the flowers and even the tuber. 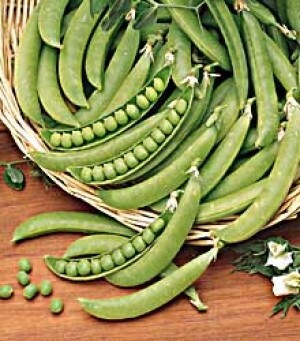 But it is the pods that are seen in Asian markets : long, flat and covered with frilly wings along four edges. Best of all, winged beans are fairly easy to grow and make a flavorful addition to stir-fries and grills. The hard seed is difficult to germinate so it is recommended to soak for 48 hours. In our temperate climate it is best grown as an annual. It does well in humid tropics with high rainfall. It is also known as Goa Bean, and is found in Southern India, known as Sirahu Avarai in Tamil and Chathura Payar in Malayalam. This variety has black seeds. 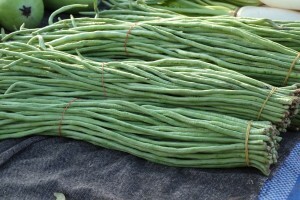 Also known as asparagus bean, and barbatti in Hindi. A high-yielding variety with vigorous growth. 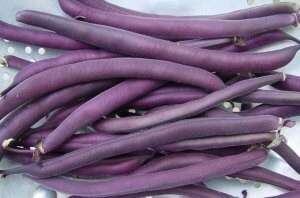 Beans are dark green with a purple tip. Pod length is 55 - 60 centimeters. Plants first flower after about 35 days and can be first harvested after 45 days. Indeterminate plants start flowering from 38-42 days after sowing. 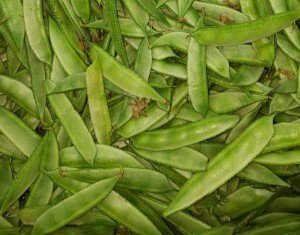 Dark green pods are long (18-20 in), thin, and fleshy. 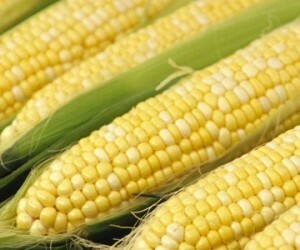 A high yielding variety of 90-95 days duration. 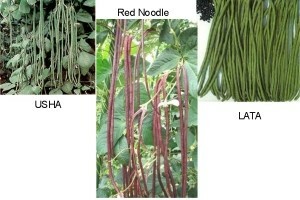 Yard Long Bean "Red Noodle"
Unusual red variation of the yard long bean. The beans are sweet and stringless. Great for stir-fry. Heat loving plants do especially well in the South. A collection of each of our three yard-long bean varieties. 1 ea. of USHA, LATA, and RED-NOODLE. We cannot ship these products to Australia. (Vicia faba) 80 days when sown in spring. 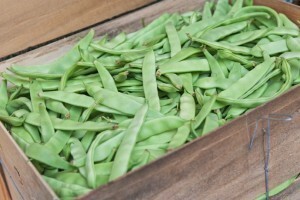 Popular in European gardens, Broad Windsor is one of the tastiest of all dried beans and one of the largest. When eaten at the shelling stage, you'll discover why their mild flavor makes them perfect partners with many spices and herbs. Great for Falafel. 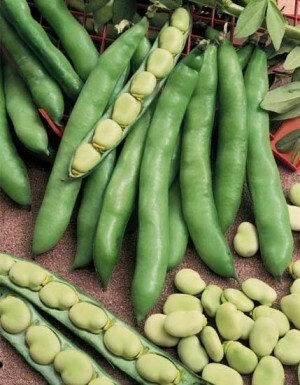 Fava Beans prefer cool, mild conditions and are suitable for early spring and fall planting.The sturdy bushes stand 4 feet tall, produce 4-5 inch pods, and are reliably hardy to 12°F. Buff colored seeds. 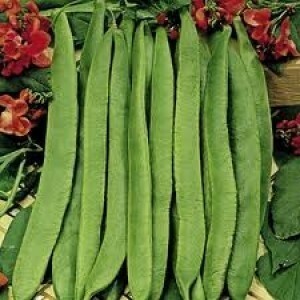 Phaseolus vulgaris -This dark green variety is an improvement of the old standard Kentucky Wonder. Commodore Improved Bush Beans is flavorful and productive. You dont need a trellis to grow this variety. Easy to grow and harvest. Record yields of crisp, fleshy pods 8 inches long. We cannot ship this product to Australia. 60 Days. 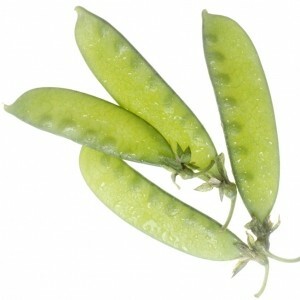 (Phaseolus vulgaris) A type of snap bean that is very similar to a green bean except for the yellow color. This bean is picked at the early or immature stage of development, when it is tender, sweet and crisp, and eaten with the pod on. We cannot ship this product to Australia. Approximately 30 seeds/pkt. 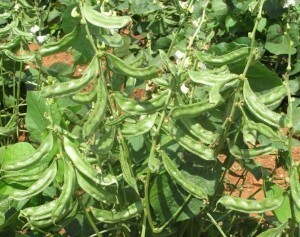 Cowpea (Vigna unguiculata) is thought to have originated in India. They spread to the Mediterranean and into Africa, and eventually made it to the Americas during the slave trade. 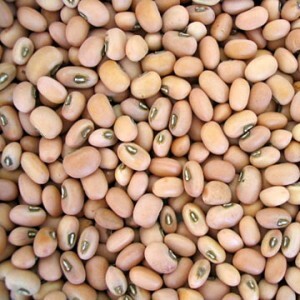 In the U.S. different varieties are known as black-eyed peas and crowder peas. 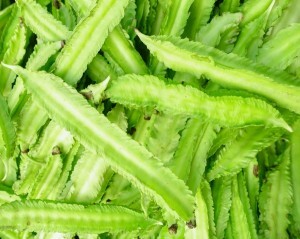 In India they are also known as Chauli, Karamani, Vanpayar, and Lobia and is served as a side dish. 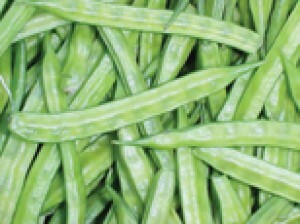 Suman is early maturing, with slender pods , resistant to anthracnose and moderately resistant to rust. Ready to harvest in 70 days. Compact plants with short internodes produce pink flowers that mature to tender and delicious snow peas. 9 cm long.